::A&A:: Personalized Teddy Bears - NEW, a photo by Alliana Petunia on Flickr. Looking for that perfect gift? Still need something for Valentines Day ideas? 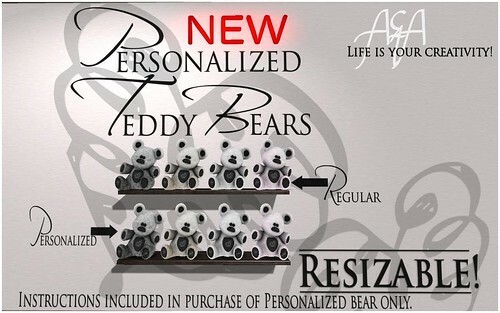 We've just released these adorable bears that we can personalize for you! They come in 4 unique colors, that are sure to be loved by anyone! Come take a look!